ARC SCISSOR ARC165P - 6.0"
Arc Scissors: The ultimate power scissors! Created to cut both WET and DRY hair. The Arc Dry Cut scissors are awesome for those accustomed to larger, heavier scissors. The wider blades and large ergonomic handles account for more weight, enabling you to power through wet or dry hair! 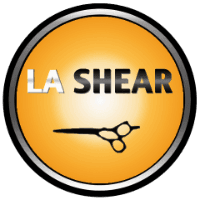 Their smoothness and effortless cutting will enable you to create new and exciting styles more efficiently and effectively.